Are you ready for a fantastic start to 2019? 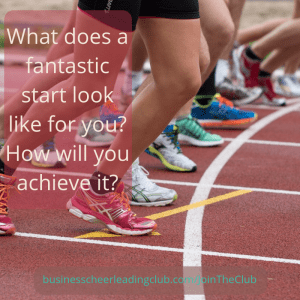 Whatever a fantastic start means to you, how will you ensure achieve it? I have a friend who doesn’t like the ‘P’ word. Whereas I love it! His dislike of planning has led to us not spending as much time as our families would like over the past 2 years. So not planning can affect you even more if there’s things you really want to do and don’t plan them. We have a rule in our house that if it’s not in the diary it’s not important. There’s been a few instances where people have booked to do something only to find that there’s already a family outing planned. The “I booked mine first” doesn’t count in our house. If it’s in the diary it does. If you’ve ever booked a wedding, you may have had to plan way ahead of time to get the venue, or caterer, or florist you wanted. If you want to see something at the theatre you need to buy tickets. These are all plans you’re making, and taking action on to make things happen. Can you do that for your business too? Yes I know you’re busy. I’m well aware it’s a busy time of year. I also know you’re serious about growing your business next year. 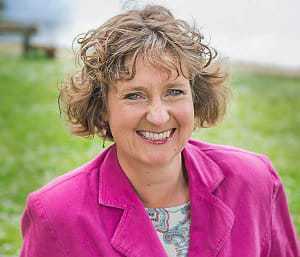 So whilst you’re planning time to write cards, go shopping, decorate cakes, visit relatives, it’s still possible to plan for your business growth. If you DON’T work on your business this month what will happen? No I’m not trying to be a party pooper. Just helping you look at what you want, and help you achieve it. You CAN spend time on your business this month too if you choose to. The Business Cheerleading Club members have got a workshop this week on planning. It’s not too early, and I know some business owners who take the whole of December off to plan the following year. That wouldn’t work for me right now, but spending time doing some planning does. We’ll be covering some simple ways to look at the year ahead even if you currently don’t know what you want to achieve. I know that’s one of the main things which stops people planning. When I’m working with a client, if a year is too far away we’ll look at a shorter time. The focus is always one step at a time though. Planned or not. Just like any journey, preparing for your business growth takes time. You need to ensure you’ve got the skills, resources, support team and time to do what you want. That can take time to research. If you don’t do it now, when will you? I’d love to help you get your year off to a fantastic start. I’m offering 2 people 3 months membership of the Business Cheerleading Club in our free prize giveaway which you can enter below. us online forums, resources and a support group for day to day questions, support and encouragement. You may not want to think about planning your fantastic start to 2019, but I encourage you to take action today. Don’t delay. Only you can make your year fantastic. I’d love to support you and watch it happen.